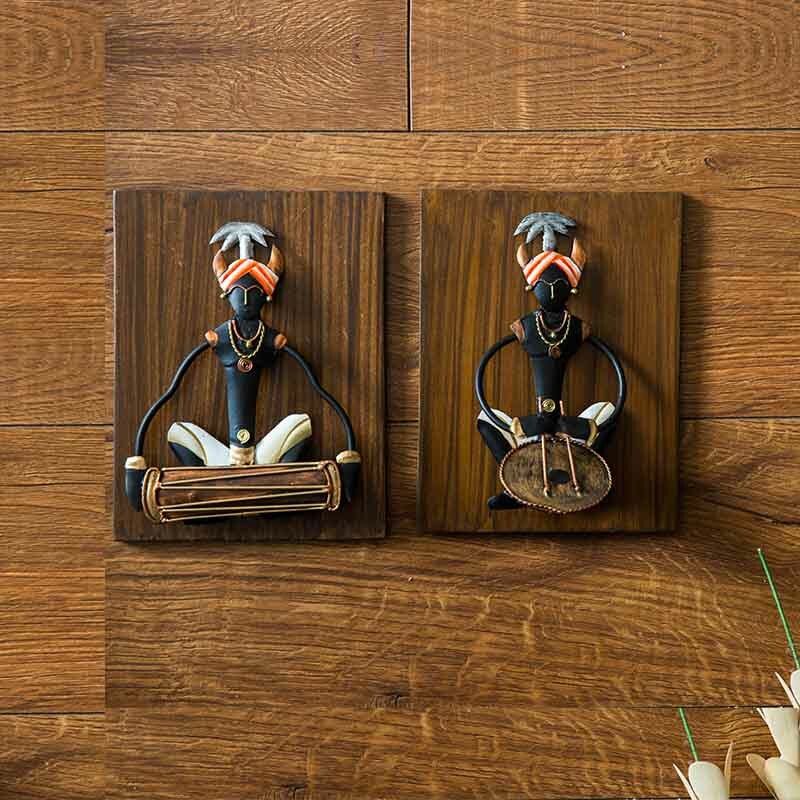 This beautiful piece of Wooden Log wall decor set has been carved out naturally from a large block of Wood Log. 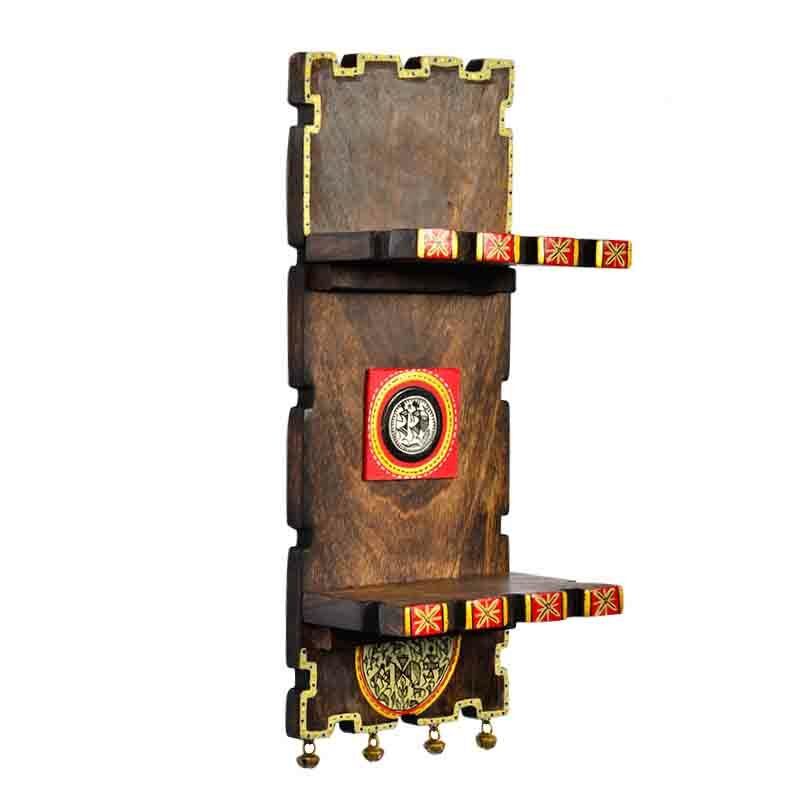 Each piece has a different and unique shape as it has been natually carved from the Wood Log. 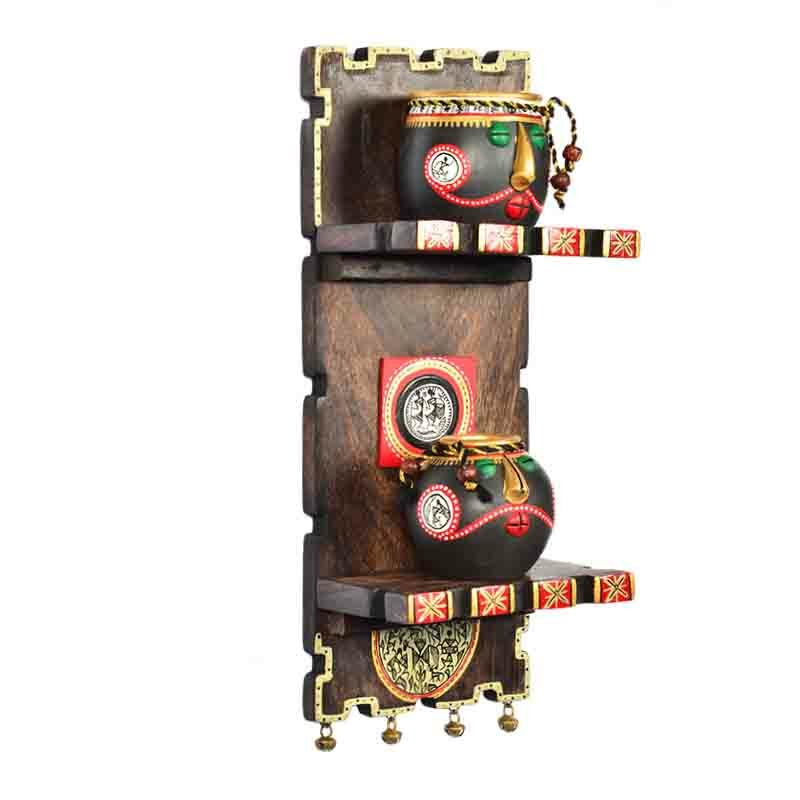 Beautiful Dhokra figures and bells has been attached on the log to accentuate it's beauty. 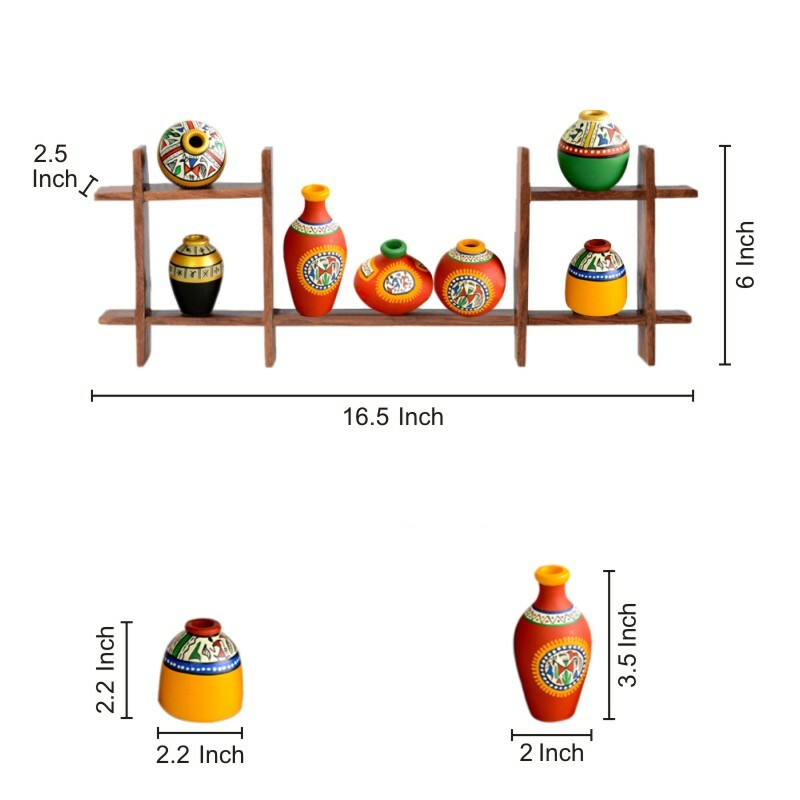 The log is handpainted with black colour along with warli handpainting has been done on red patches to enhance it's beauty. 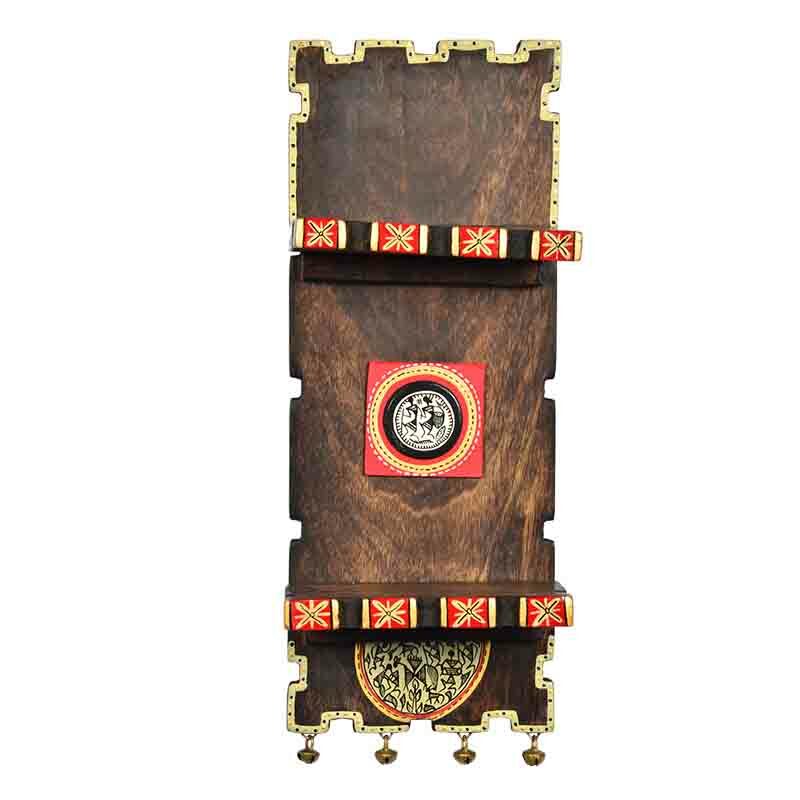 Moorni.com is a best shop to buy Handicrafts, Handmade Products, Home & Garden Decors, Arts, Paintings and Moorni Natural Wooden Log Wall Decor Set EL-002-038 in Dubai, Abu Dhabi, Sharjah, UAE. Now Shipping to Doha Qatar, KSA - Saudi Arabia, Bahrain, Kuwait, Oman in the GCC and 1 Day Delivery in UAE.